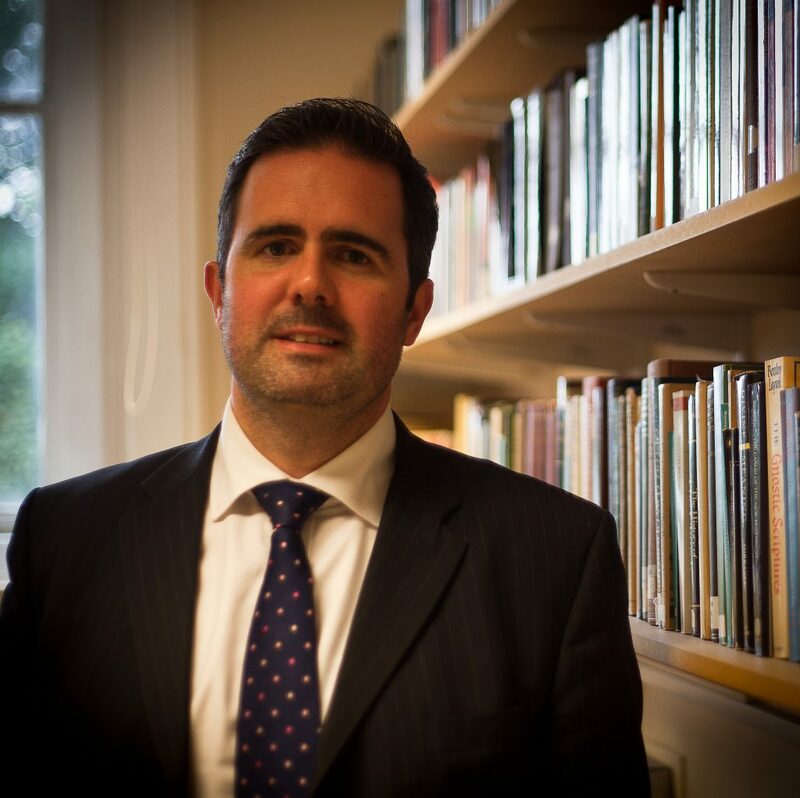 Tom Greggs is Marischal Chair of Divinity at the University of Aberdeen. He is the author of a number of books, and over 50 articles and book chapters. He lectures nationally and internationally to a variety of fora, click here for further information. The unabridged question that Tom posed was ‘How in the context of globalisation am I to live with my neighbour peacefully and generously, in a world of competing universal truth claims – a world which is complexly multi-faith and secular?’ We discussed this question late in 2016 at the University of Aberdeen. KP: Can I begin by drawing you out on what you mean by competing truth claims, what kinds of things are you thinking of there? TG: So I guess I would see politics in the broadest sense as the coexistence of people in the context of different competing claims on anything, whether that is about who owns what, or whether a claim is true or false. At a fundamental level, politics exists because people disagree. The context we are in now is complicated, because that used to take place only on a local or national horizon. It is no longer just a case of great leaders meeting each other to discuss what lines are going to be drawn on territory boundaries, now everybody has access to everybody else’s opinions just by looking at their laptops or phones. Those truth claims can be anything from deciding what the best economic system is for society, or conflicts over moral truth claims. More profoundly I think truth claims come from the fact that for many religious believers, their fundamental identity rests in the religious identity they have, and everything else is measured by or related to that identity. So I guess to put it in a very narrow way, what does it mean for me as a Christian to say that I live my life as a follower of Christ? The most important part of my identity is that I am a follower of Christ, and everything else comes underneath that. This isn’t such a difficult thing to do when everyone around you is Christian. However, it has become more difficult in a context where we live in a society which is complexly religious and secular in all kinds of competing ways. We see that displaying itself in all kinds of things locally: debates about what the status of marriage is for people from different genders and the same gender, and we also find that we have it on a global level, where there are competing truth claims about the reality of the world. Is the world simply a materialist expression of a set of random chemical reactions, and therefore we make the most of what we have within it? Or is the world a place where we seek to engage in justice and equality, where we seek to subject ourselves to the sovereignty of God? Whatever those things are, there are different things that motivate people in the way that they behave and engage, and therefore different fundamental issues at stake as they navigate their political identities in a globalised context. KP So, when you say we are to live generously and kindly, I suspect there you mean something more than tolerance? TG: I think tolerance is a tremendously weak virtue. Tolerance works on the basis of highlighting the distinction between the powerful and the less powerful, the majority and the minority, it works on the basis that variance or difference isn’t a good thing to be celebrated – it’s something to be put up with. Tolerance is from the Latin ‘tolerare’ meaning to bare or to carry, if you read Latin you will have come across it in places like Caesar talking about soldiers carrying their backpacks or weapons. What they’re doing is enduring something. And when the word enters English via French, it actually means enduring. So for me, the language of tolerance always presupposes that it would be better if things were homogeneous. And actually [it says], everything really is homogenous, but there are a few exceptions that we tolerate and put up with. Living generously in the world involves a degree of openness, a degree of crossing thresholds and engaging in communities of difference, and trying within that to understand what ones one particular place is. Somebody’s difference to me isn’t something that pollutes me or makes me less myself. Somebody’s difference to me is something which can actually be immensely to my benefit, and makes me a better version of myself. So yes, I’m very allergic to the idea of tolerance. I think we spend a lot of time in society patting ourselves on the back for being tolerant. What that’s tended to do is lead to a fragmented society where we don’t actually engage in difference. Where we have our fragmented communities within an uber community, and those communities have specific identities which tolerate each other, rather than crossing over the road and engaging in communities of difference. It is strange in some ways, because we all love traveling, but when we come away from it, very often we want to retreat into our own parameters of existence, rather than recognising that all of us now (even if only through the media and through the internet), actually have access to a whole host of various and varied ways of living. We need to learn to celebrate it. KP In terms of living with competing truth claims which rub against one another, pragmatically speaking is it better to give a wide berth to those claims, or should we be engaging with them more deeply? TG: You have to engage with them more deeply. Superficial peace is no peace whatsoever. This is part of my anxiety about tolerance. All tolerance will ever do is create superficial peace where we put up with one another, but we only do that because we don’t really engage with each other. I think the real question is how people reason their own place within the world, and trying to reason with them on their own grounds. Trying to work out what is at stake, trying to work out what the complexity of the situation is that they are within. I think sometimes we can think that the response to problems will be flat and one-dimensional. In fact, what we need to find are multiple dynamics of engagement with people across communities of difference. There is a real task within a globalised context to find a way of communicating with people when I think even our means of communication are vastly dislocated in relation to each other. There is a lot of work that has to be done on cultural and religious literacy to be able to do that. I mean, in terms of the interfaith work that I do, one of the really key things for me is not to engage in essentialisation, where we think we know exactly what people think because of the clan or religion to which they belong. Religions are a living and active force within the world, whatever we believe about them, they still motivate the world. I also think alongside that, we actually need to try understand the logics that people employ as they reason religiously. Until we do that, we will end up thinking that we need to impose a universal one-size-fits-all reality onto the world, which in many instances will just make things worse. You could say that the whole history of the secular settlement (the idea that we preserve some space in which we suspend religion from the public domain), you could say what we are baring now is the fruit of that – because it simply won’t work for people who reason religiously. So the challenge is how we find apt ways of reasoning religiously with people, so that we can speak in language that is culturally and religiously appropriate for the means of reasoning in which they are engaged. KP I guess the success of the globalisation project is partly dependent on education, so what would you see the imperative of education is in this global context? TG I absolutely agree that I think education is key, and I could give you some really trite responses to that. I think wisdom is a category I’d want to employ. One of the dangers we have at least in British educational contexts, is that we can treat education as an exercise in accruing point marks to get you onto the next thing in life, and see it as a series of jumping through hoops in order to get a law degree and make lots of money. What we really need to do when we think about education, is to think about how we are creating educated citizens for the world, who can navigate themselves in a globalised context of complexity. I am constantly concerned as an educator with the transferable skills that we might offer, as much as I am concerned with the material content that we are teaching. Over the years I have moved further and further away from terminal examination, as I am not sure really what it does in the end, other than assess a student so that they can go onto the next thing. I would far rather that we thought about how we engage our students in such a way that they realise that they need it for their entire lives; that they need to have religious and cultural literacy for the engagement within the community, so that they can live in a world of variance and celebrate it, rather than being fearful of it. We tend to be fearful of those things that we don’t understand or don’t know. The more that we learn, the more that we engage with these people, the more that barriers are broken down. At the end of the day, I don’t remember 95% of the things I learned at school or university. I have no recollection whatsoever of my biology or physics lessons, or anything else – but they shaped me to be able to reason in a set of ways, and helped me realise that people read the world in different ways. There are a multitude of different ways of reading the world, and what seems to me important in that, is to acquire the right tools to read the world appropriately. So, put crudely – we wouldn’t expect a biologist to use a telescope to do their work, no more than you’d expect a cosmologist to use a microscope. The same is true in arts and social sciences, we actually have to find methodologically appropriate ways of studying subjects, such that what we give students is the capacity to be literate in an area throughout their entire life. That literacy may simply be that they are aware of some of the realities of the ways you go about studying the subject. I think about my own subject – theology and religious studies, it seems to me that one of the most important things that they can learn is that you can’t simply say that ‘A Muslim believes this’ or ‘A Christian believes this’. I am very nervous of presentations of religious education where you can learn what a religion is by being able to name its festivals, its place of worship, its beliefs – as if everything conforms to one pattern, and as if all members of a religion are uniform in the way that they behave and practice. Every religious person in the world navigates their place differently. The danger of religious essentialisation, where you think you know what someone believes because of their religious identity, is effectively a type of racism, where you make a judgement about somebody because you have labelled them as belonging to a particular religion. There is huge divergence within all religions about all issues. So I hope that education could provide students with the capacity to realise that things are likely always to be more complex than they think they are on the surface. What we need to do is look at the reasoning, the logics, the articulations and negotiations that people are engaged in, in terms of their complex identity issues in the world, in order to understand them more fully.